Video content is all over the internet. It can be overwhelming! Moreover, it has led some marketers to believe that the blogging is no longer necessary for marketing. Though video content has seen exponential growth in popularity, it has not diminished the importance of blogging. That is why you should think twice before giving up on your blog section! When you blog, and it gets featured on your website, you enjoy a 434% increased chance of getting ranked on search engines. Businesses that have blogging as part of their content marketing strategy end up with 67% more leads than brands that do not. Here are some more compelling reasons as to why you should count on business blogging in 2018. About 52% respondents at a content marketing survey conducted recently suggested that blogging is their primary content marketing strategy followed by social media content, email newsletters, in-person events, webinars, and eBooks. A minimal of 30% people voted for video. So, get all those brilliant ideas for your blog rolling right now. With a blog, you have the tool to render your business a human perspective. That is where you find your brand’s voice. Through the blog, you can explore the concerns and issues of your audience. It helps you build and enhance your company's personality. It adds to your brand’s likeability. Your blog will also distinguish you from other market players. That is the reason people have voted blogs as the 5th most authentic source of precise online information. Video content is indeed engaging and entertaining. However, when you would want to take your readers to the depth of a subject matter, you would have to rely on long content. A word count of 2000 is apt. Long form content does well when a reader wants to get educated on a topic in detail. Google suggests that almost 10% of its users want to know about a subject in-depth. Organizations that have business blogs get about 97% increased links on their site. You cannot ignore it at all. Furthermore, inbound links are said to be life-force of most websites. High-end backlinks, sourced from a wide mix of sites, offer your website an increased rank in the search engine results. Hence, the more you choose to blog on relevant topics, the higher are your chances of procuring more inbound links. A business blog is an updated collection of keywords, articles and exciting materials. That is precisely what any standard search engine optimization campaign or ecommerce SEO would want. According to a study, about 75% of people do not scroll to any other page than the first page of the search engine result. Hence, it is essential for brands to feature on Page 1 of the search engine. The more your blog appears on the first page, the higher traffic you generate to your website. Here, you need to add targeted keywords in your blog. The SEO industry will not be able to thrive without words, of which your blog is comprised. Keep an open section for comments. It will enable your customers and other online viewers to share their views on the blogs. You can learn a lot from the opinions shared. Have a link to forums. If you feel that the comment section is not useful, then link your customers to a forum. Let this forum facilitate peer-to-peer discussion on significant topics. Motivate your readers to share the posts they appreciate. 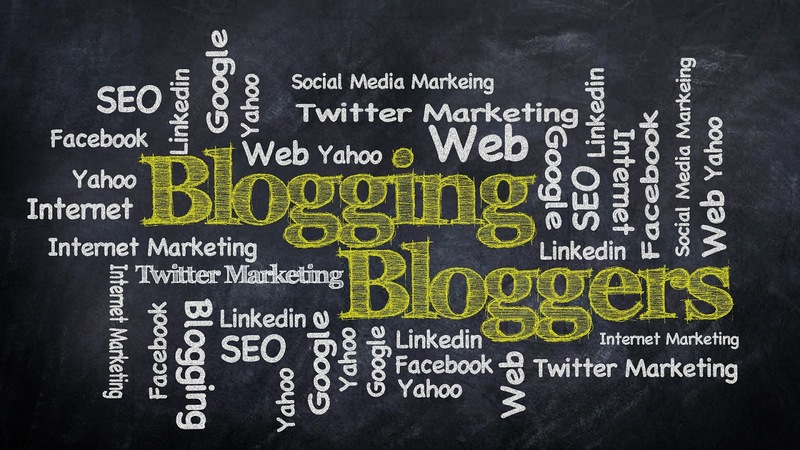 About 55% brands report that they have received a positive outcome from blogging! Almost a count of 30% of them reiterates that they have experienced fantastic marketing outcomes. It suggests that smart blogging with rich keywords will help you experience a favorable ROI. Blogs operate akin to advertising. Only they perform a bit better. Online visitors refer to a corporate blog to know more about the brand. Furthermore, according to the latest research, online visitors are not very much in favor of online banner ads. However, they are keen to read a gripping content about a brand's new launches, achievements, corporate social responsibility and the like. Social media and blogging were considered to be two separate paths. A blog is a platform for curating and publishing long-form content that is furnished with relevant details. Social media was taken to be an informal platform. However, today there is a harmonious synergy between the two. Your blog alerts people about your posts on social media. As you share your blog link on social media, it gets better mileage and adds to your follower count as well. Not sharing your blog on social media means that you lose out on the chance to generate quality engagement with your target customer. Blogs have undergone evolution! Online readers and viewers expect honest storytelling in the blog. They are keen on content that helps them know more than their imagination. Hence, with blogging, you can step out of your comfort zone and benefit from it. So, the million dollar question is — have you given blogging for business a thought? If not, then you should get all enthused and organized about it. If you have blogged and your blog is yet to be ranked, instead of shying away, find ways to make your blog interesting. Focus on offering in-depth content and keeping the above-discussed points in your mind.